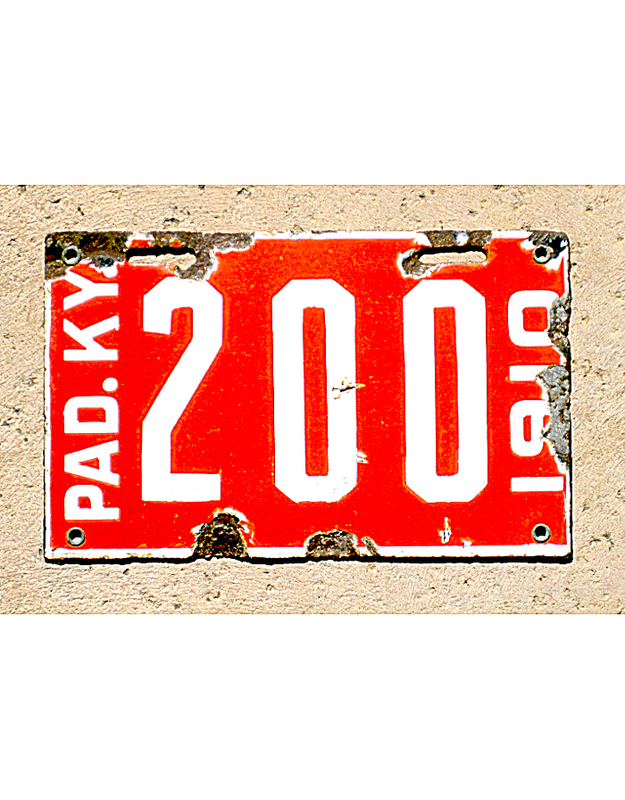 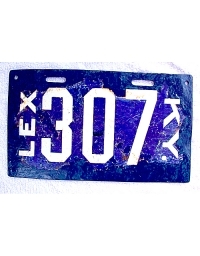 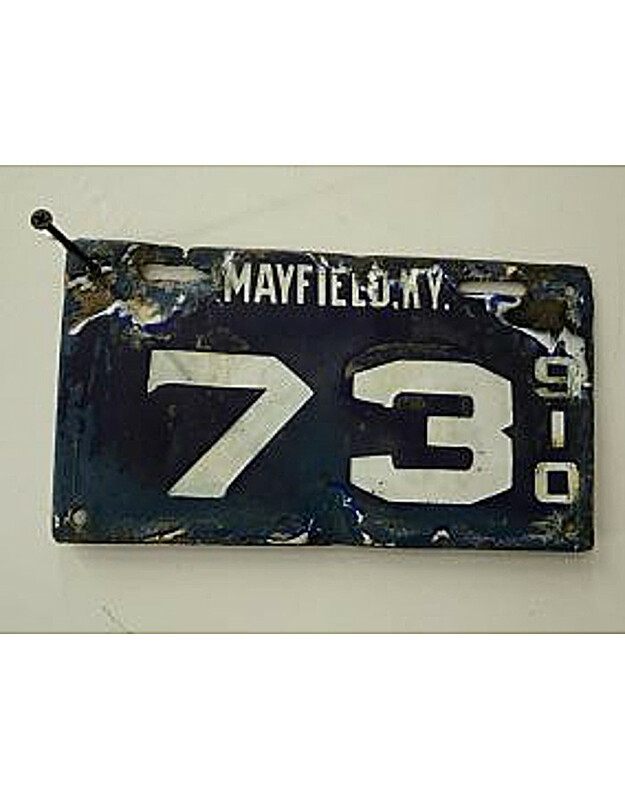 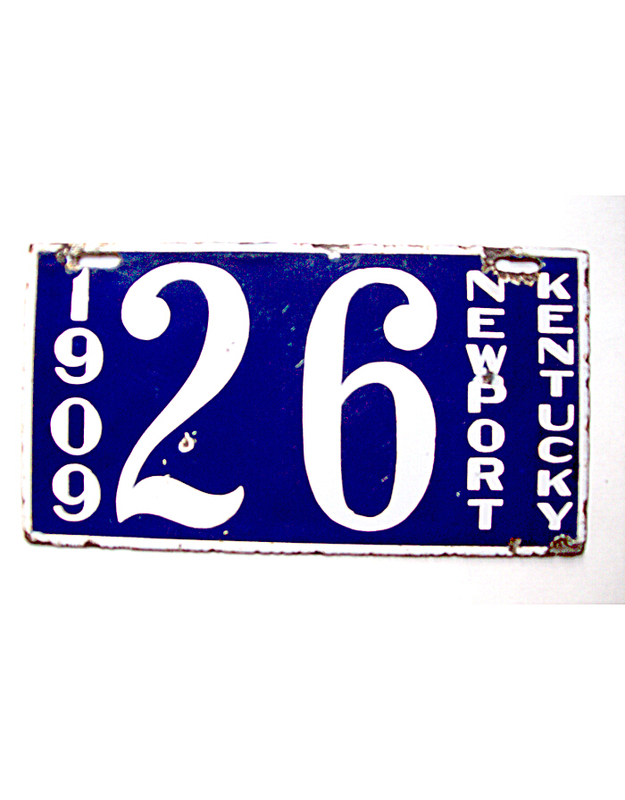 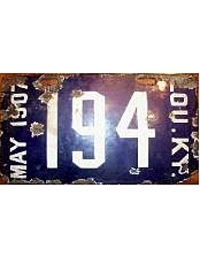 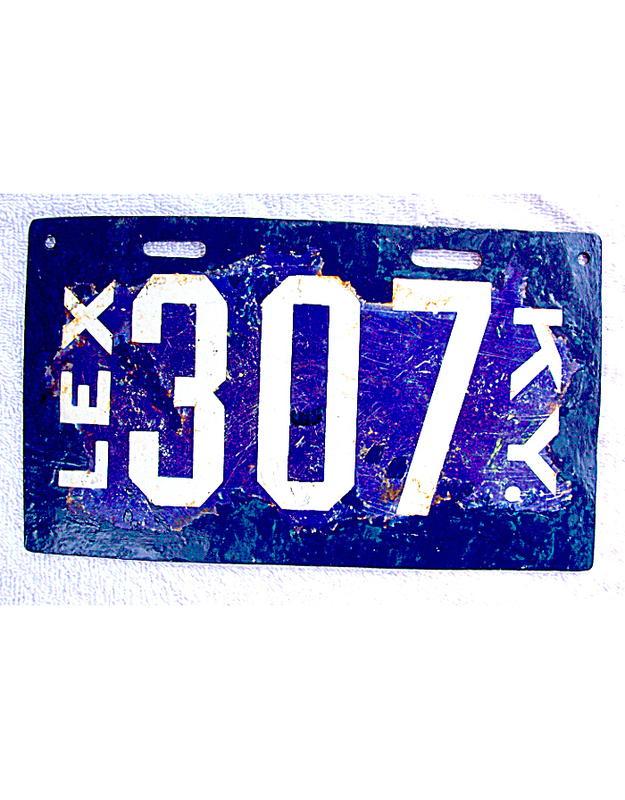 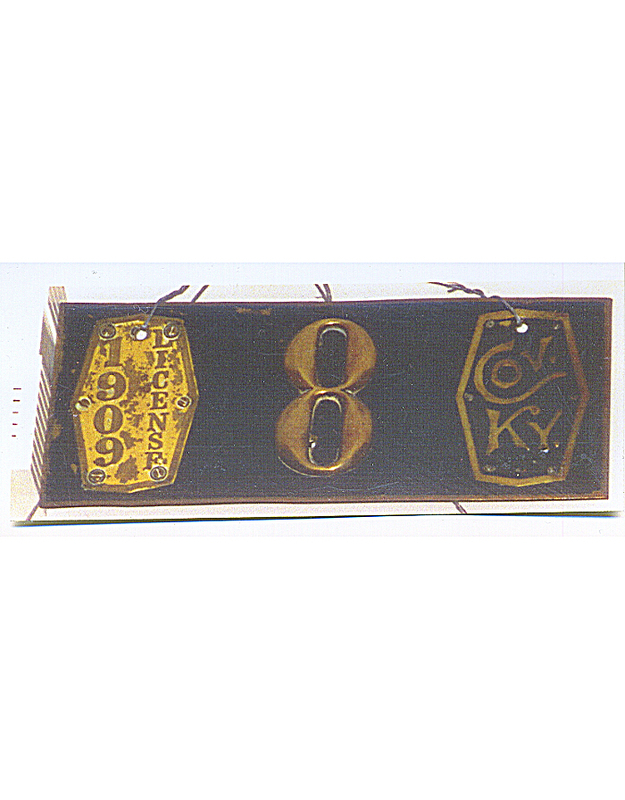 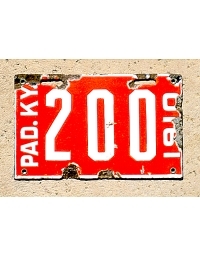 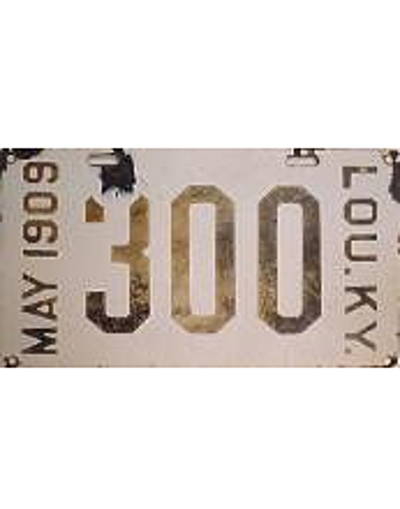 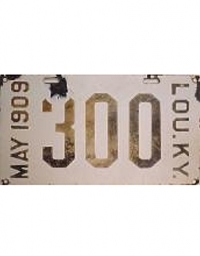 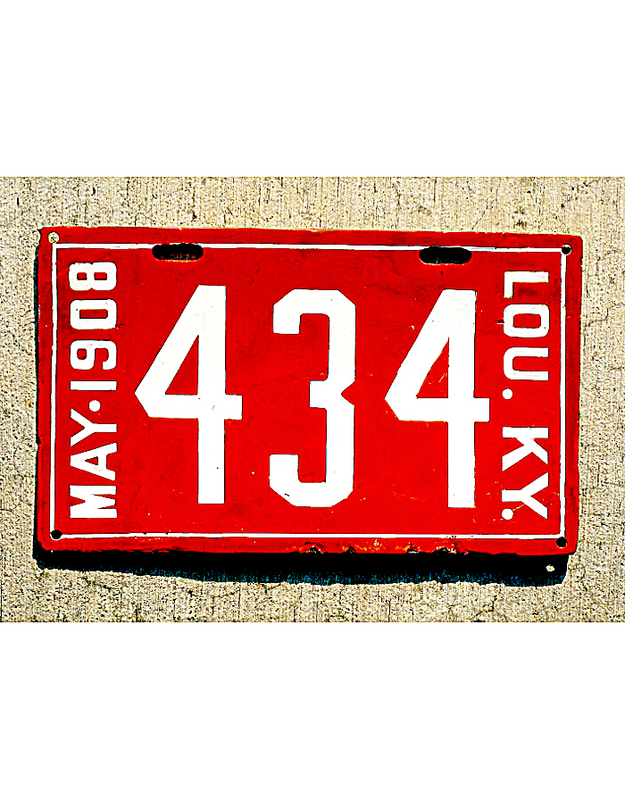 Kentucky first began licensing automobiles statewide in 1910 with an official government-provided tag. 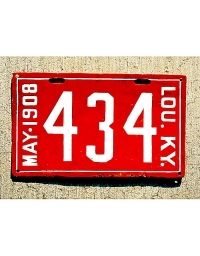 Before then, certain cities – mainly along the Ohio River – issued standardized plates in the pre-state era. 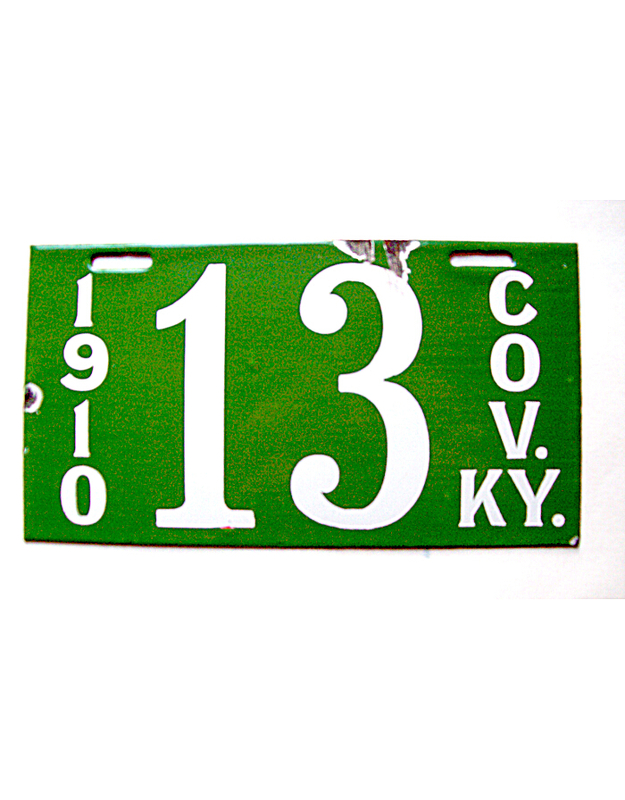 All Kentucky local licenses were officially issued. 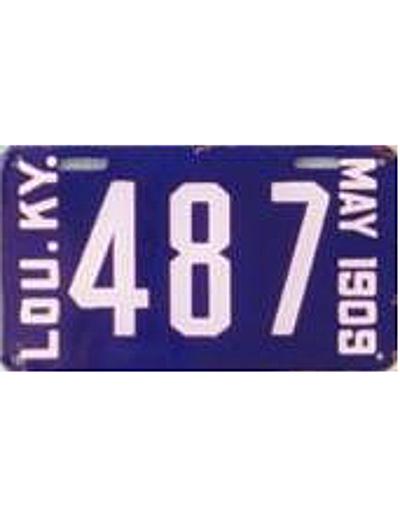 Cities known to have used pre-state licenses include: Louisville (1908, ’09, ’10 and later to 1912); Lexington (undated, but most likely 1909 or 1910); Ludlow (1910); Covington (1908,’ 09, and ’10), Newport (1909), Paducah (1910), and tiny Cattletsburg (1909) in the extreme eastern part of the state. 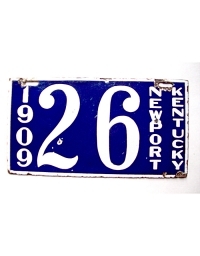 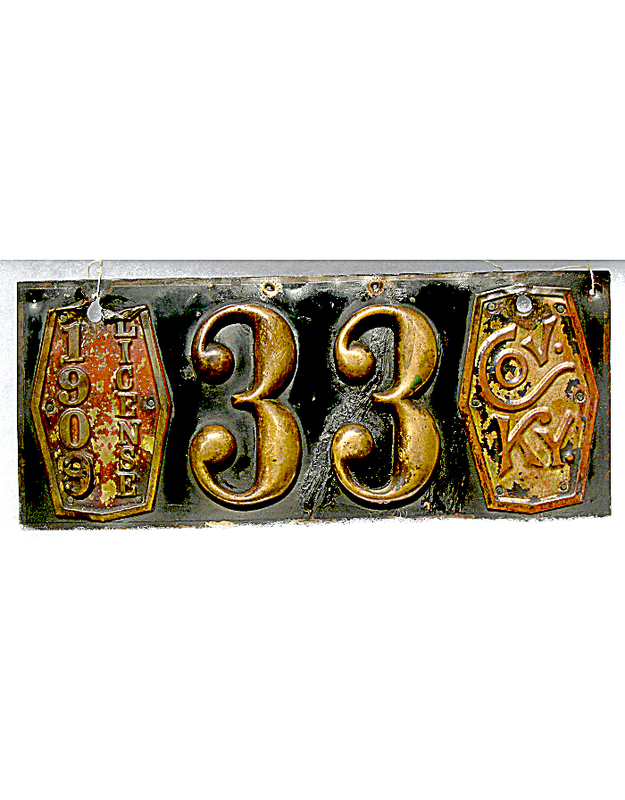 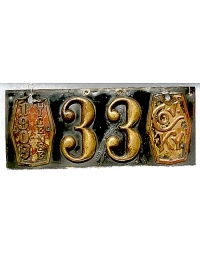 All of these local plates were porcelain enamel with the singular exception of Covington’s issues 1908 and 1909, which were very similar in design and colors to neighboring Cincinnati’s licenses for the same period. 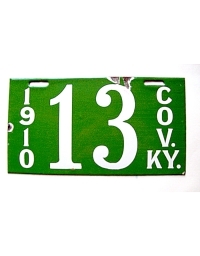 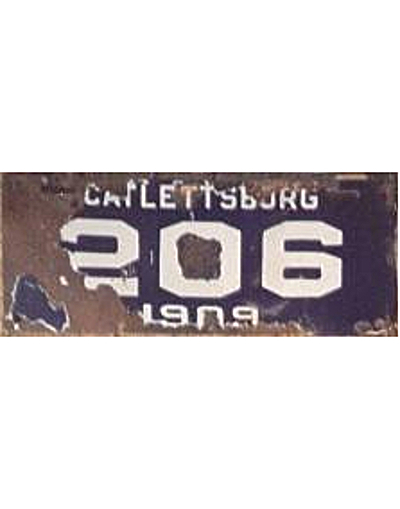 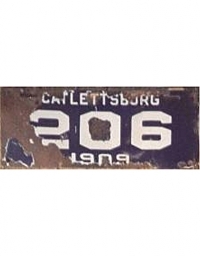 Covington’s plates for 1908 and ’09 were very similar. 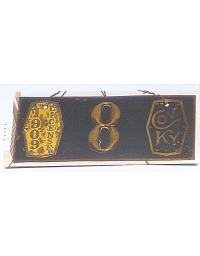 One example features the last digit of the date changed from “8” to “9” by means of a new figure applied over the old one.